Welcome to Florida Builders Engineers & Inspectors Network, Inc.
Our Florida Licensed Engineering Firm has had over ONE MILLION Reports accepted by the Federal Government, the State of Florida, Industry, Corporate, Commercial and all of the Private Sectors. 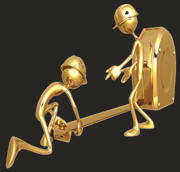 We also provide Inspections to the General Public and Hopefully for you! Serving Florida Statewide our "Targeting Engineering" Inspections provides the Best Service, the Lowest Prices and Fasted Turnaround Time in Florida. 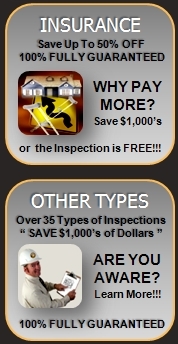 All Inspections are 100% FULLY GUARANTEED or the Inspection is 100% Free! Save up to " 50% OFF "
Mitigation Insurance Credits Paying to much for Insurance " Save $1,000's "
Many Policy Holders are unaware that a Mitigation Inspection can help reduce their Insurance Premiums up to 50% and you do not have to wait for your renewal. Features that will reduce wind damage that you may qualify for an Insurance Discount are as follows. Secondary Water Resistance, Roof Covering, Storm / Security Doors, Protection of Openings, Roof Deck Attachment, Roof Shape, Bracing of Gable End and Roof to Wall Connections. To review detailed information regarding Mitigation Inspections we suggest that you review the FREE information provided below. If you need assistance call Toll Free 1-877-894-8001. In unincorporated Miami-Dade County Florida a Certificate of Use Inspection CU 08-1333 is now mandatory and you must have this Engineering Inspection prior to selling the foreclosed property. This effects Unincorporated Miami-Dade County Florida only and pertains to Residential properties affected include single-family homes, condominiums, townhouses and duplexes. Violation of this ordinance with failure to comply will result in penalties as provided in Chapter 8CC of the Miami-Dade County Florida code. We provide you with Reports that are accepted in all Courts of Law and allow you full disclosure regarding the foreclosed property. 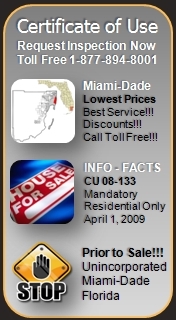 We also as a service provide expert testimony if needed in Miami-Dade County Florida for you. We offer the Lowest Prices, the Best Service and the Fastest Turnaround time. You may also review your Reports On-line. Call TOLL FREE 1-877-894-8001 for immediate assistance. A Chinese Drywall Inspection protects you, your family most importantly and your home from serious circumstances ranging from a "Bio Health Hazard" to the corrosion of the wiring and copper tubing in your home in which you live. Our Florida Licensed Engineering and Inspections firm highly recommends that you have a Chinese Drywall Inspection of your home and/or property immediately. Do not delay. This is a very serious matter that you can not afford to overlook. Reports have already come in regarding "Health Issues" and your health is the most important aspect of all. We are working in conjunction with many agencies to provide you with the lowest cost possible for this inspection. Our "Engineering Inspection Reports" are accepted in Florida and the United States as Legal Evidence. As a service we also provide Expert Testimony in all Courts of Law in Florida and the Unites States if needed for you. Call now, we can help you. Florida Builders Engineers & Inspectors Network, Inc. is a fully licensed "Engineering Firm" with over 20 years of hands on experience specializing in Real-Estate and Insurance Mitigation Inspections. We 100% Fully Guarantee that you will save up to 50% Off your Insurance or the Inspection is absolutely FREE. We have the "Lowest Prices, Best Service and Fastest Turnaround Time". We ONLY EMPLOY and/or contract Florida Licensed Building Inspectors, Florida Licensed General Contractors and Florida Licensed Engineers and Architects to complete "ALL INSPECTIONS". Our inspections are "Never Sub-Contracted". Our companies staff consists of over 32 (thirty-two) Home Inspectors, and that is why we are the only company that offers "SAME DAY SERVICE" throughout Florida in the Real-estate and Insurance Home Inspection Industry. Appointments are scheduled the same day with your Reports sent directly to your Agent via E-mail including Photographs. 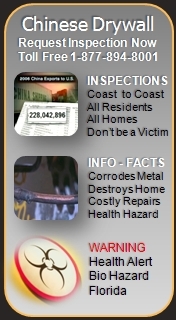 We also have "24 Hour On-line Report Access" for your convenience. CALL US TODAY FOR ADDITIONAL PRICING DISCOUNTS. Florida Builders Engineers & Inspectors Network, Inc. has provided and offers a full line of Engineering Inspections Services for Commercial, Residential, Government and Industrial markets. We provide services directly for the United States Government to include Fannie May, Department of Housing and Urban Development, the Veterans Administration, the Federal Housing Administration and received recognition for work submitted to the Library of Congress. In addition we provide services to Bank of America, Wells Fargo, Coldwell Banker, Prudential Real-Estate, Century 21, Allstate, State Farm, Liberty Mutual, Citizens, Mercury, Royal Palm, Nationwide, Coral Insurance and actively participating as an official sponsor of Florida's Largest Homeowners Insurance Network with over 2,800 Networked Locations Statewide. We have added NEW REPORTS for better and easier comprehension. VIDEO REPORTS are now available. We now offer English and Spanish Report Translations. In addition we also specialize in Condo Conversion Engineering Reports and Layouts. We have performed more 40/50 YEAR RE-CERTIFICATIONS than anyone else in the Florida Area. With our Report Access service you may access your reports on-line 24 hours a day. 1,000,000 REPORTS ACCEPTED AND HOPEFULLY YOU!! The difficulty in obtaining Homeowners Insurance in Florida has been reported on in the news media world wide. Florida Homeowners are now not only faced with Florida being a Natural Disaster State with Hurricanes and Flooding causing serious damage. The current Economic Crisis now adds additional pressures to Homeowners in Florida that are already burdened. With our Licensed Engineering Inspections you can save up to 50% OFF your Florida Homeowners Insurance GUARANTEED!!! 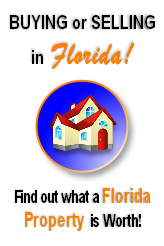 In some cases SAVE UP TO 80% OFF Florida Homeowners Insurance. Why pay more for Florida Homeowners Insurance when you do not have to? We provide a wide variety of Florida Licensed Engineering Inspections that can SAVE YOU MONEY ON ALL TYPES OF INSURANCE POLICIES!!! Review the "What We Offer" section of our website to learn more or call Toll Free 1-877-894-8001 for help and assistance. VERY IMPORTANT INFORMATION!!! PLEASE READ THIS!!! Most Florida residents are not aware of the amount of money that can be saved by various Engineering Inspections that we offer. In very many cases we commonly have people say to us Quote "I JUST DID NOT KNOW" and thank us afterwards. Call us Toll Free, let us speak to you and help you through these very difficult times. If you are Bidding on a Foreclosure in Florida On-line thru Miami-Dade Clerk of the Courts we now offer a FORECLOSURE PRE-INSPECTIONS to the General Public. You are responsible for the condition of the FORECLOSED PROPERTY. We also will assist you in any OPEN BUILDING PERMIT Violations prior to you placing your BID at Public Auction On-line. Please visit our FLORIDA FORECLOSURE INSPECTIONS NETWORK by selecting the Foreclosure TAB at the TOP OF THIS PAGE. For Additional Information or call us TOLL FREE!!! INTERESTED IN BUYING OR SELLING FLORIDA REAL ESTATE? If you are interested in Buying or Selling Florida Real Estate and want to know what your Florida Real Estate is worth, take advantage of this FREE MARKET ANALYSIS click on www.RogerMoralesFlorida.com and get up to date market analysis anywhere in FLORIDA. TELEPHONE TOLL FREE 1-866-894-8001 and speak to Roger Morales today! Again visit www.RogerMoralesFlorida.com right now! Over 1,000,000 Florida Engineering Reports Accepted and Hopefully for you!!! Florida 4 Point Inspections - Florida Mitigation Inspections - Florida Storm Shutter Certifications - Florida Roof Statement Conditions - Florida Flood Elevation Certificates - Florida Roof Inspections - Florida Termite Inspections - Florida Electrical Inspections - Florida Plumbing Inspections - Florida Appliances Inspections - Florida Structural Inspections - Florida Lots & Grounds Inspections - Florida Well Inspections - Florida Sprinkler Inspections - Florida Pool Inspections - Florida Septic Tank Inspections - Florida Mold Inspections AND MORE! Florida Building Engineering and Inspections Provides 500 Different Types of Engineering and Inspections Services. No Job is to LARGE or SMALL!!! Call us TOLL FREE 1-877-894-8001 to Schedule your Florida Licensed Engineers and or your Florida Licensed Certified Inspection Services today!